For centuries, cultures around the world have celebrated special events and holidays at feasts with meat as the centerpiece. Traditionally, a few times a year, a beast would be butchered and shared among a community. The rest of the year, meat was eaten sparingly, if at all. Now, meat is served up every day—sometimes several times a day. The average person consumes about 95 pounds of meat per year (as of 2014). But that varies greatly from country to country; the Australians are the world’s biggest meat eaters averaging 255 pounds each, per year. Generally, the wealthier the country, the greater the meat consumption. In the past few years, however, people have begun to consider the ethical and environmental issues related to meat production, and the health issues associated with high meat consumption. Soy-based foods such as tofu and tempeh are familiar to most of us. In the UK, the meat alternative Quorn, made from a type of fungus, has been popular since the 1970s; many early vegetarians will likely remember Textured Vegetable Protein (TVP) products. In Asian cultures, there are whole branches of cuisine based on soy-based facsimiles of popular meat items. But there’s a new breed of plant proteins emerging—high-tech, so-called ‘clean’ protein alternatives that strive to replicate the taste, texture and appearance of meat. In the US there’s the Impossible Burger, which ‘bleeds’ like red meat, and the Beyond Burger with a near-identical texture to a meat patty. In Europe, the Vivera steak looks pink in the middle when cooked and even oozes red, blood-like juice. These foods boast they’re the plant food of the future, healthier and more ethical than their animal-based counterparts. So How Healthful Are These Foods? There’s little doubt that most of us would be healthier if we ate more plant foods. It’s one of the least-debated concepts in nutrition. Whether we are better off eating less meat probably depends on your starting point; the World Health Organization recommends that if you eat red meat, you should limit consumption to no more than three portions per week – about 350–500g (about 12–18oz) cooked weight. They also say we should eat “very little, if any” processed meat (bacon, cured sausage, salami etc). That’s because of the clear links between consumption of processed meats, and colorectal cancer. On the pro side, eating plant-based protein alternatives mean we’d be likely to lower our animal protein consumption, and potentially reduce cancer risk. There’s also an environmental benefit; producing meat uses a lot more of the planet’s resources than producing plants, and the link between the health of the planet and the health of the people on it is something that can’t be ignored any longer. Lowering meat consumption around the world would likely take pressure off precious resources such as water, land, and fossil fuels and make it possible to feed more of the world’s growing populations. Depending on the product, plant-based protein products can come from soy, peas, wheat, or potatoes. It’s easily possible to get a good serving of protein from a plant-based meat alternative. Some, made from pea protein, also offer a bit of fiber. Some of these products also make claims about iron, cholesterol, and saturated fat. But you should keep in mind that 1) The type of iron found in plants (non-heme) is different from the heme iron found in meat, which our bodies are much better at absorbing. So we’re unlikely to get the the same benefits from the iron in most plant protein. 2) All plants are cholesterol-free, so labels claiming “cholesterol-free” aren’t indications that the product is special in some way. Besides, it is well established that eating cholesterol doesn’t affect blood cholesterol levels. 3) The saturated fat content of plant-based protein varies, mainly due to the choice of fat added by the manufacturer in processing. 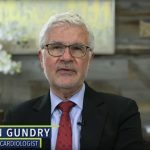 Most plants are naturally very low in saturated fat and even if a plant-based product contains saturated fat, recent research suggests that saturated fat is unlikely to increase the risk of cardiovascular disease as once thought. But a plant-based diet is not automatically the better choice. Research suggests there are some pitfalls to eating a poorly-planned plant-based diet. A 2017 study published in the Journal of the American College of Cardiology found it was possible to eat a ‘plant-based’ diet (in this case meaning meat-free) that’s no healthier than a standard, Western-style diet heavy on processed foods and meat. And, remember plant-based meat replacement products are processed foods. They’re manufactured products, and some are notably high in sodium. If you’re looking to eat more whole unprocessed foods, a case could be made these are less ‘natural’ than meat, which is a one-ingredient food. If you’re looking to truly improve your health and eat more plants, look to whole foods, such as plant-based Mediterranean dishes based on delicious vegetables, beans, lentils and grains, rather than simply switching to a processed meat facsimile. These products might be useful – and using them once or twice a week in place of meat is not a bad idea – but we should also look at the bigger picture of our whole diets. A plant-based diet can include some animal products: dairy, meat, fish and eggs. Just think veggies first; if meat is added, think of it as garnish. 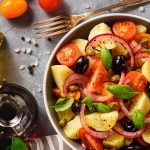 This is in line with the way healthy populations around the world eat.. A traditional Mediterranean diet, as a part of of inflammation-fighting, longevity-promoting lifestyle, doesn’t contain faux meat; it contains lots and lots of whole plant foods. Niki Bezzant is a New Zealand- based writer, speaker, editor and commentator. She is passionate about food, healthy eating and food culture, marketing and policy. As founding editor (now editor-at-large) of Healthy Food Guide magazine, a columnist for the Herald on Sunday and a frequent contributor to broadcast media, she has extensive knowledge of modern media and consumer attitudes to healthy eating. Niki has been involved in the food media for nearly 20 years. She is currently president of Foodwriters New Zealand and a proud ambassador for the Garden to Table programme which helps kids learn how to grow, cook and share food. She is a member of the Council of Directors for the True Health Initiative, a global coalition of health professionals dedicated to sharing a science-based message of what we know for sure about lifestyle and health. She is a board member for the NZ Nutrition Foundation. Directions to Weight Loss? Don’t ask your genes.